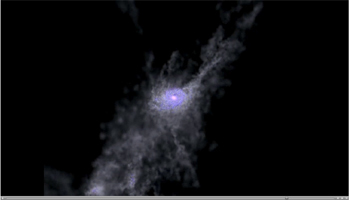 Created with the help of supercomputers, this simulation shows the formation of a massive galaxy during the first 2 billion years of the universe. 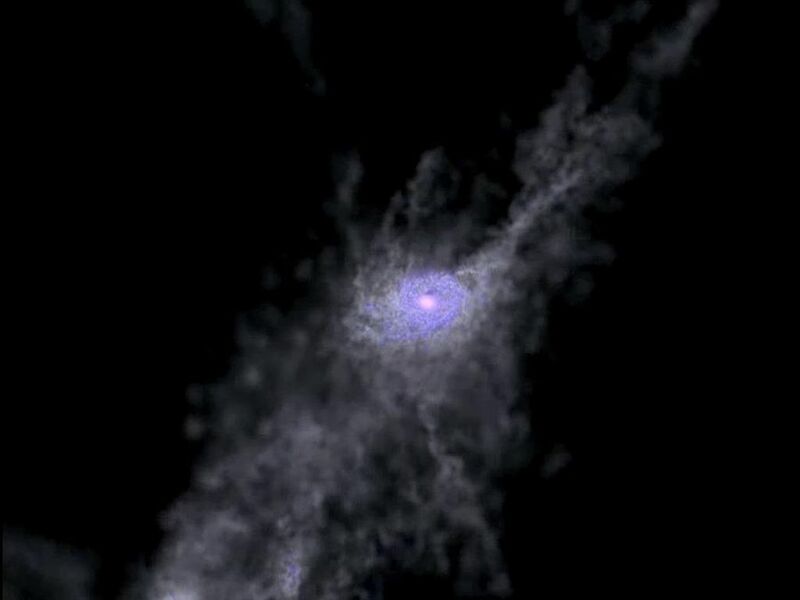 Hydrogen gas is gray, young stars appear blue, and older stars are red. 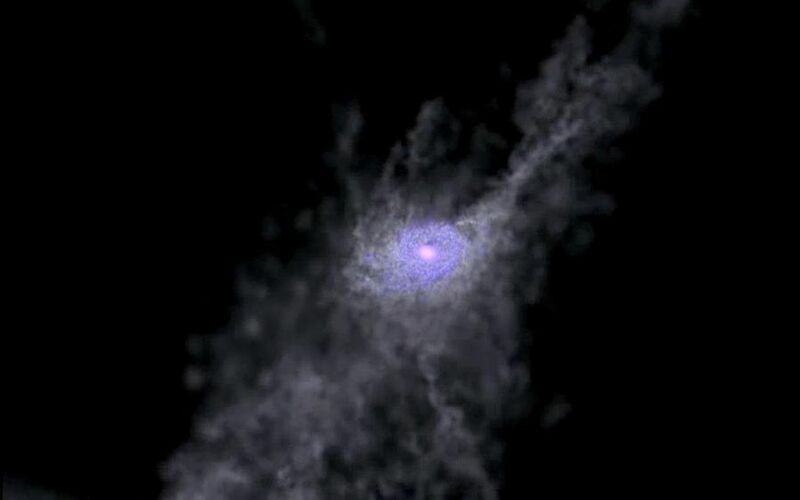 The simulation reveals that gas flows into galaxies along filaments akin to cosmic bendy, or swirly, straws. Jillian Bellovary of Vanderbilt University, Nashville, Tenn.; Fabio Governato of the University of Washington, Seattle, and the University of Washington's N-Body Shop helped create the simulation. The work was conducted in part using the resources of the Advanced Computing Center for Research and Education at Vanderbilt University.